If You Want To Get Anywhere, You Have To Aim Higher! You can of course choose to plod along, looking at your feet, thinking only of handling the problems that confront you in the here and now. Sure, there are engineering problems that need to be handled to make the present day more livable, but if you start thinking about where you want to be, rather than where you are, you may just end up solving the present problems along the way anyway. There are inventions that have helped mankind whose application wasn’t really the thing being aimed for, but it came as a by-product of the dreaming. Half the time with Elon Musk I find myself looking at the far-flung projects like the Hyperloop and the Mars venture, and I find myself thinking about what needs to be done to make that happen, and it inspires me. 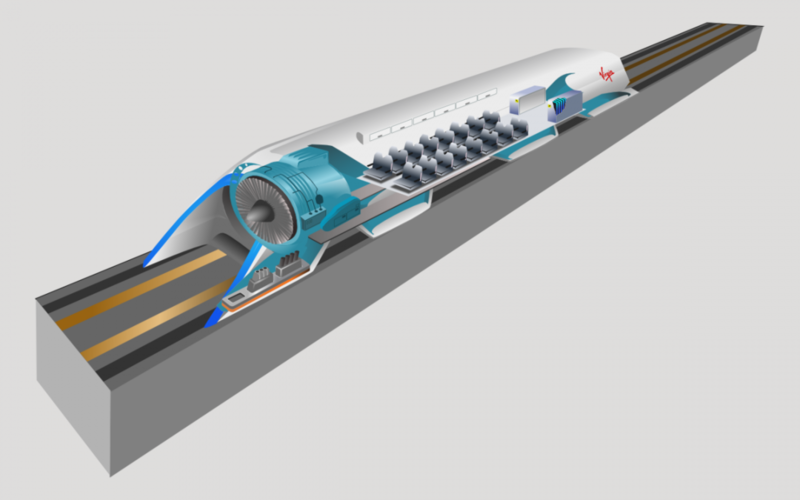 The Hyperloop has pparently been given a verbal green light since I started writing this article, but is still conservatively, about ten years out. A fully manned flight to Mars may be a bit further. But ask yourself how many others are out there dreaming big like this? It’s a little bit like spear-fishing – you aim ahead of the fish in order to spear it. The other thing with moonshots is you have to accept the chance of failure, as much as you plan for glory. Moonshots don’t seem to be cheap, so perhaps you have to hit a certain level of success before you can start thinking about them, or maybe not. Maybe it is the aspiration that needs to be focused on, and the ambition of the projects. Sure, you may have to endure a certain amount of ridicule as well, but when you have people with a lack of vision trying to poke holes in your plans, you shouldn’t take too much notice of it. Wouldn’t it be better if everyone was aiming so high, and we had even a fifty percent success rate out of that? Well, maybe that’s a little high, but you catch my drift. Our future is only going to arrive in the kind of shape we need it to if we punch above our weight, and fall flat on our faces – look at Steve Jobs and the failures in his resume; Bill Gates has his share too; dig into the backstory of any renowned figure and you are going to see the speed-bumps along the trajectory of that learning curve. Prometheus was the first entrepreneur and things didn’t really end well for him, but by stealing fire and giving it to man, he changed the game. Steve Jobs Newton crapped out, but then the i-pod and the i-pad redrew the map. Elon Musk has been delivering parts into space for NASA for a while now. Evolution isn’t a painless process, but without that push, we would still be daubing pictures on cave walls instead of painting on with our fingers on our i-pads. Innovation is something we should reward, and we should create environments that foster it. It isn’t such a difficult thing to do – children have it built into the way in which they view and interact with the world, we just have to work not to kill that ability. Making it known about the effect an invention can have, letting people learn how, and learning about the ramifications in the designers life – this is going to open the door to more development; this is going to help the future arrive faster.